Washburn’s has been in the auto body business for over 28 years. Our goal is not to be the biggest but rather to be the best at what we do. Washburn’s is 100% committed toward building a lasting relationship with you. 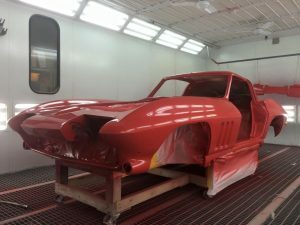 You can count on us whenever you need superior craftsmanship and caring customer service or just simply some knowledge about collision repair. What sets us apart from all other auto body shops in the Chittenden county area is simple. We work for you not the insurance company. We have never aligned ourselves with Insurance to get business we rely on our reputation. Our pledge is to perform world-class automotive services to make our customers completely satisfied with their entire experience. We know that we are a direct reflection of our work and we aim to do the absolute best work possible. We pride ourselves in quality, professionalism, and satisfaction of each customer.